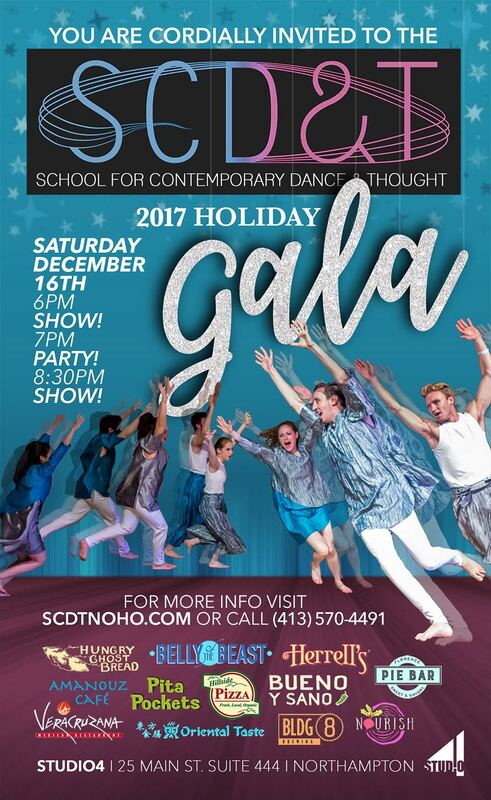 A party and fundraiser reflecting on an incredible year and dancing into the future! Performances/installation with Hatchery and many SCDT artists, photo exhibit by Peter Raper, video by A Good Night's Sleep, live music from Stephen Katz, ReBelle, Kalliope Jones, and DJ Brian Foote! With food and drink provided by generous local sponsors! 6-7PM- Show #1- Hatchery, Kalliope Jones, SCDT dance program, special guests! 8:30-9:30PM- Show #2 with SCDT artist-in-residence Meredith Bove, Rythea Lee, Joy Davis, and special guests!